Tip the odds in your favor by child-proofing the house. While it is your life and space, it’s better to be prepared. Give him or her noisy (real) toys or objects like pots and pans in a place where he or she is safe, so that he or she can explore chaos/noise/physical power/aggression in healthy doses. Divide up your time with him or her so that you each get breaks. One-on-one parenting makes more sense in toddlerhood than in infancy or older stages because a toddler’s intensity can provoke conflict between parents very quickly. For example, when he or she is outside and suddenly doffs his or her clothes, should one laugh, discipline or both? Parents should avoid yelling at each other about what the other parent should do. Keeping the toddler safe is the first rule. 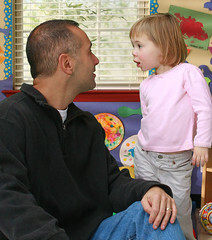 Discuss your positive or negative reactions to the toddler’s behavior with each other later. Your toddler probably is not interested in or receptive to such perceptions, although he or she will be sooner than you think. Prearrange a signal for those moments when you are approaching meltdown and need urgent assistance from your partner – a tag-team ‘change’ sign. Fresh horses make the trip ‘back home’ a lot safer for everyone. Finally, another challenge in co-parenting a toddler is worth acknowledging: the other partner’s perceived ‘lack of consistency’ in dealing with the toddler’s provocative behavior. When disciplining a child, one parent may unintentionally undermine the other, causing the other parent to feel angry or withdraw emotionally. To avoid this dead end, support your partner first and discuss your feelings later. Keep the conversation light and start with the personal pronoun “I” instead of “You.” Remember that you’re both in this together. For more advice, see the Co-parenting Preventive Maintenance quiz (p. 44) in Partnership Parenting, my book with my wife, Marsha Kline Pruett. Once your child shows behaviors of potty training and your child follows general instructions willingly, he/she is ready to learn and follow new instructions, like those for potty training. It is important for your child to understand you are starting something new. Signal this big transition to your child by switching from diapers to training pants. Give enthusiastic approval when instruction is followed: hugs, kisses and verbal praise. Remember; never try to potty train a child during a time of stress, such as when your family is moving, going on vacation or when the child is sick. If it doesn’t seem to be working, take a break and try again in a few weeks or months. It will happen; just give it time. 1. Provide a wide selection of age-appropriate books. Don’t limit books to your child’s play space. Consider making some available in their bedroom, on the lower shelf of a “grown-up” book shelf, on the coffee table, etc. Be sure to place the books within their reach. 2. Be sure your child has a cozy reading spot. Consider making an area in the family room or playroom with a comfy cushion or child-sized chair, stuffed animals and a big basket of books to choose from! 3. Consider serving snacks or meals that relate to the stories your child enjoys. Add just a drop or two of green food coloring into scrambled eggs and you could serve green eggs and ham for breakfast! 4. Read to your child at every stage. Some parents begin reading to their child before they are even born! 5. It’s never too late to start a reading routine with your child. Set a goal of reading at least one book per day with your child–even on the busiest of days! 7. Don’t limit reading to bedtime. Cuddle up and enjoy giggling with your child over a funny book. 8. If your child has a tough time sitting still for story time, encourage her to color or manipulate play dough while you read the story. 9. Point to the words as you read. This helps children start to associate sounds with letters. 10. Ask your child questions as you read. “How do you think that made her feel?” “What color do you think he will choose?” Be sure to also answer your child’s questions as you go along. 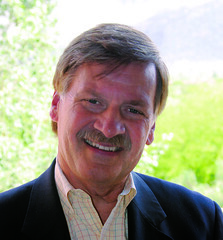 Goddard Systems, Inc. (GSI), the nation’s No. 1 childcare franchise, received Middle States Corporate Accreditation in recognition of its high quality early childhood educational programs. The Middle States Commission on Elementary Schools of the Middle States Association of Colleges and Schools is one of three accreditation units of this regional accrediting body. The Middle States Association (MSA) of Colleges and Schools has been providing accreditation and school improvement to colleges, secondary schools and elementary schools for over 100 years. Over the past few years, the accreditation standards have been extended to early childhood programs through the Early Age Education Accreditation. The Middle States Commission of Elementary Schools reaches out to public and private schools throughout the country and across five continents. GSI’s education and business philosophy is continuing to gain national traction; the company opened 19 new locations in 2011. By positioning locations in top-tier markets across the nation, GSI is now located in 35 states with over 380 schools in communities across the nation.